If You Want to Learn To See Colors Try This. If you want to learn to see and understand color there is no better training ground than learning to duplicating what you see in paint, pastels or colored pencils. It requires you to really see the color of things. In fact, most artist spend as much time looking at what they are painting as they do actually putting marks on the canvas. I enjoy the artistic process but since I don’t find as much time as I once did to paint on my own so I try to participate in a workshop or class at least a couple of times a year to keep my color “seeing” and color mixing skills sharp. Knowing what color to choose for each stroke of the brush, pencil or pastel requires being able to see color and how it changes based on the colors that surround it, the colors that are reflecting upon it, and how the light hits the surface. The colors of an object is referred to as local colors. 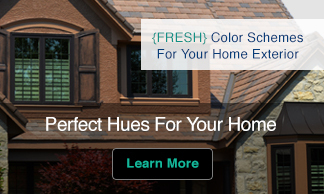 Local color basically means realistic color or the color that is actually seen. In art school a teacher might says to paint the local colors when she or he wants the students to render the colors as realistically as possible rather than take artistic license with the subject matter. Recently I attended a painting workshop with artist Bonnie Auten. I have admired Bonnie’s work and looked forward to picking her brain about how she paints and makes color choices. The images above are a few of Bonnie’s paintings. 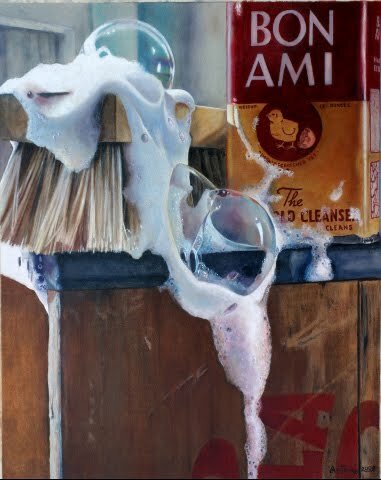 I especially like her still life with Bon Ami cleanser because of the unusual subject matter and limited color palette. 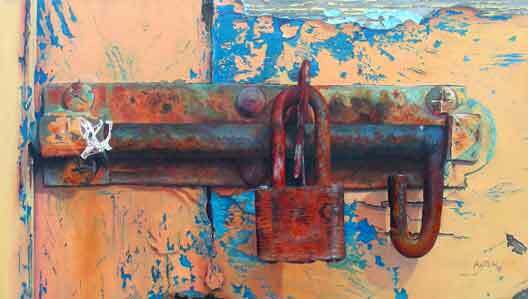 In the painting of the Irish Lock above Bonnie tunes into the local color and brings the lock to life. The colors, the values of the colors, and the use of a wide range of warm and cool colors work together to hold my interest. Look at all of the variations of color in the twisted pottery handle. You can see how the reflected color and how the light hits the surface and affect the local color. 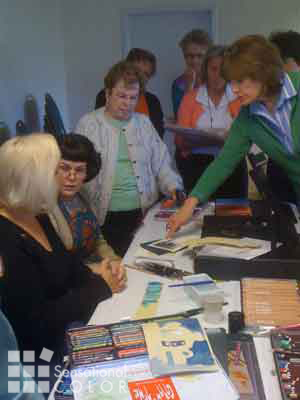 In the workshop Bonnie was teaching her signature colored pencil painting techniques to members of the DC chapter of the Colored Pencil Society of America (CPSA). What looks like paint in the ceramic wells and on the paper is actually colored pencil mixed with water. Bonnie is demonstrating how she uses water soluble colored pencils on UArt sanded paper to create large colored pencil paintings with more depth of color in less time. Would you have known that the three paintings above were done with colored pencils rather than paint? 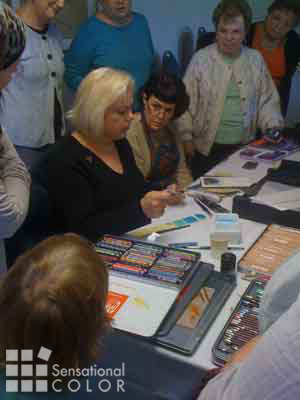 This was the first time most of us had seen this technique so Bonnie answered all of our questions about why she used pencils rather than paints. She also gave lots of tips on making it work for our own paintings. Once the demo was done we each had a chance to give it a try. Bonnie had us draw blocks so that we would focus on the method rather than the subject matter. We were to replicate the local color of the blocks but had artistic license with the background. It was a toss up for me as to whether to go with purple or brown. I went with the purple because I don’t often chose it for a background. I thought a strong purple would set off the yellow blocks and it would add interest because the far left end of the top green block would blend into the background. 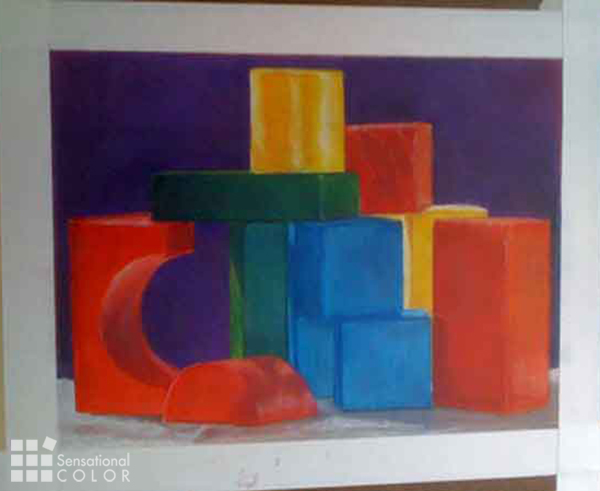 Then once I knew where I was going with the background I could begin looking at the blocks and making my color choices. For example, can you see how the red block on the right was warmer on the narrow side than it was on the adjacent surface? 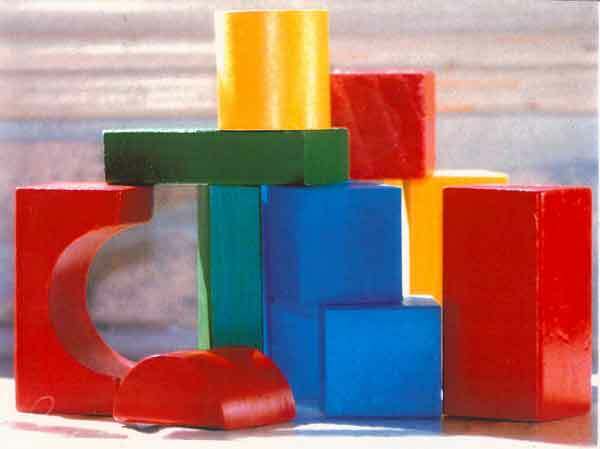 Or how much brighter the yellow blocks are than the blue, red or green ones? This is my rendition of the still life still taped down to my drawing board. It wasn’t until I looked at the painting a few days later that I saw that the angle on the half-round block was not exactly right. I started to pull out my pencils to fix it but decided not to. This is just a workshop piece so I wasn’t going to get obsessive about it. Plus it is a good reminder for me of how when you are really focusing on a single aspect of a painting it can make you almost blind to the other characteristics that make a successful piece. 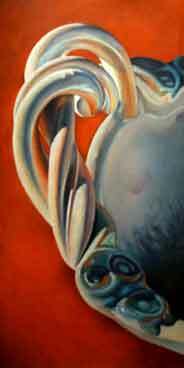 In painting as in life being able to be detached enough to be able to stand back and see the big picture really helps. 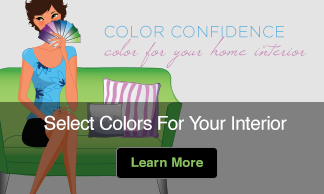 If you love color but have never tried your hand at painting what are you waiting for? 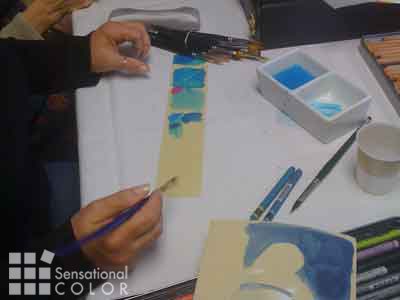 There is no better way to hone your color “seeing” skills and you may even create a painting you are pleased with. Plus you can enjoy the energy of being around other creative people. I had fun with my classmates during the workshop, learned a new technique and had a chance to get the low down from Bonnie on how it is that she can create with color so beautifully even though she is colorblind. Surprised? I sure was when I found out that this artist whose work I had admired was colorblind. I couldn’t wait to meet Bonnie so that I could talk to her in person about how it is that she can paint such colorful paintings. Find out what I learned in my article Can Being Colorblind Make You a Better Artist or Designer?.